2. Select ‘Widget Tools’ button on the left-hand side of your screen. 3. 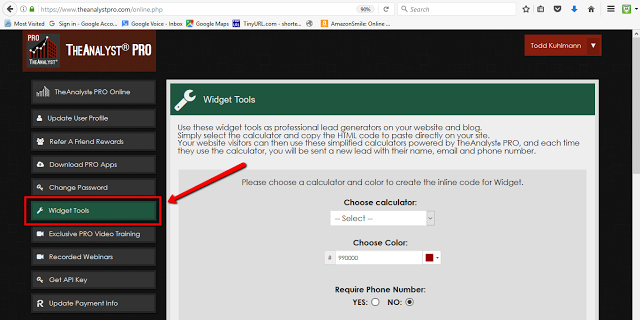 Scroll to the bottom of the Widget Tools screen to the section titled ‘CLIENTLOOK LEAD INTEGRATION’. Enter your ClientLook account email address and your instructions to the Virtual Assistant team for the appropriate action to take with widget-generated leads (for example: “Add leads to my Prospect group, “Schedule a next-day follow up for all new leads” or “Relate leads to my deals”). Click the ‘Enable ClientLook Lead Integration’ button to enable this new feature.